I received Polar FT60 in exchange for this post. All opinions are my own. About July of last year I decided I wanted to make some lifestyle changes. I knew that my eating habits were not the healthiest, and I hardly ever made time for a workout. I have the ability to work out at home, but it is always easier to find something else that needs to be done besides hopping on the treadmill. My husband agreed that some changes needed to be made and so we decided together to cut most processed foods out of our diet. We wanted to gradually change our habits instead of try something radical and feel overwhelmed. As we began to feel better physically, I wanted to be more active. So in an effort to get my workouts in, as well as carve out some “me time”, I asked for a gym pass for my birthday. The more I went, the more I wanted to have an accurate measure of my fitness goals. I continue to try to make healthy changes and it is one of my biggest resolutions for 2014. 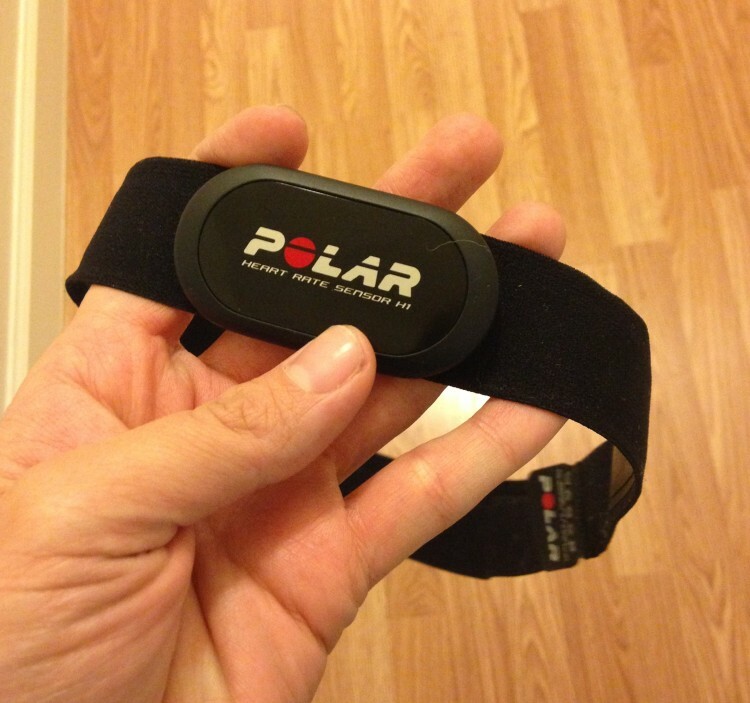 I use the Polar FT60 Heart Rate Monitor when I work out, and I love it. It is really easy to use, after filling out your personal information it can guide you to the ideal training intensity for your age and fitness level. It is really important to train at the right intensity level and knowing your heart rate can help you do that. If you exercise too hard, you may quit before you reach the real benefit, not hard enough and you’ll struggle to lose weight at all. The FT60 helps overcome these problems by encouraging you to map out a complete fitness routine. 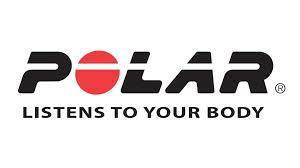 Polar Star personalized training program that adapts to your workout habits. It gives you weekly training targets helps you reach your goals more efficiently. The watch displays heart rate info in several ways, including as a percentage of your maximum heart rate, as beats per minute, and within a graphical target zone indicator. And if your heart rate exceed or dip below your target zone, the FT60 will sound an alarm that helps you return to form. 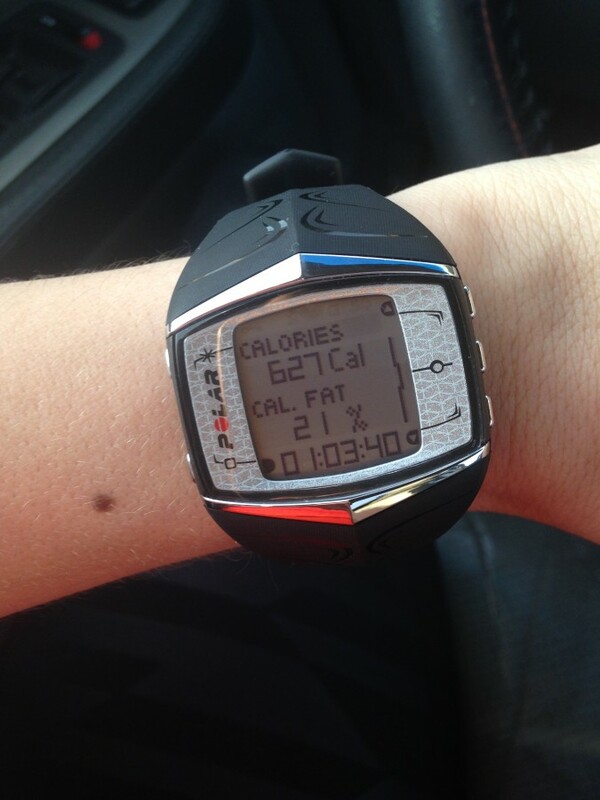 It lets you know exactly how many calories you burn in a workout. a Polar FlowLink connection for transferring data between the FT60 and a computer. The watch carries a two-year warranty. This watch is really user friendly and easy to use. Before I go workout all I have to do it wet the heart rate sensor strap and snap the sensor in place. This works like a big elastic strap around your chest. I know for some people this might really bother them, but I honestly don’t notice it at all once it is on. specially if you are wearing a sports bra. I love being able to see just how many calories I am burning during my workout, it helps me stay motivated and keeps me working as hard as I can. 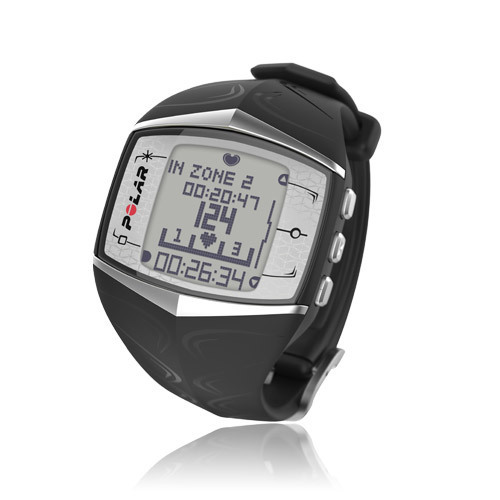 The Polar FT60, along with numerous other models and cool products can be found on Polar’s website or on Amazon. It has an ARV $179.95. Do you have a New Year’s resolution to get into shape? What gadgets do you use when working out?